Mat gesta að lokinni dvöl á Apartamentos Rurales Sierra Alta. It's a great apartment in a perfect location for exploring and hiking, eating local foods etc. Carlos is very friendly and super resourceful and helpful with lots of suggestions and tips for everything! I'd definitely stay there again, thanks! Access to restaurants easy Thunder and lightning show amazing. Tryggðu þér frábært verð á Apartamentos Rurales Sierra Alta - með 9,6 í einkunn frá gestum sem gistu þar nýlega. Meðal þeirra söluhæstu í Benaocaz! 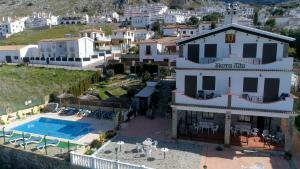 Apartamentos Rurales Sierra Alta is located in Benaocaz, within the Sierra de Grazalema National Park. Surrounded by nature, it offers an outdoor swimming pool and well-equipped apartments with private terrace. Each air-conditioned apartment features a living-dining area with TV and fireplace, 1 or 2 bedrooms and a kitchen which includes ceramic hob, microwave and fridge. There is also a private bathroom and a washing machine. 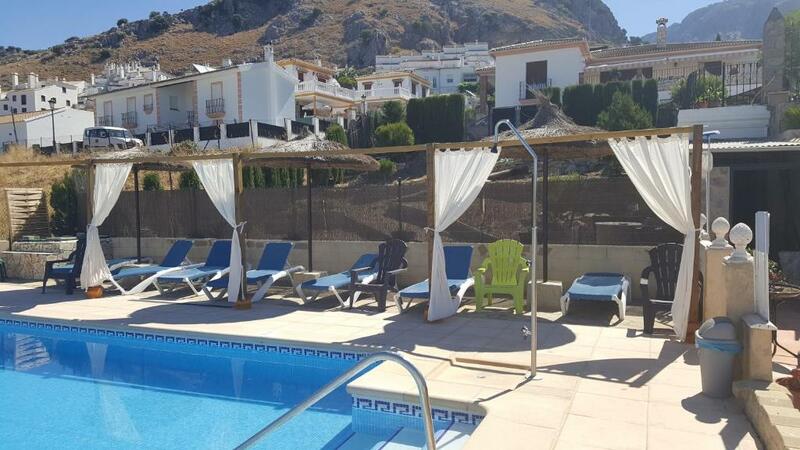 All apartments feature views of the swimming pool and the surrounding mountains. Free Wi-Fi and free parking is offered at the Sierra Alta apartments. Ubrique is 7 km away while Grazalema is 20 minutes’ drive away. Þessi gististaður er á einni vinsælustu staðsetningunni í Benaocaz! Gestir eru ánægðir með staðsetninguna í samanburði við aðra gististaði á svæðinu. Pör eru sérlega hrifin af staðsetningunni – þau gáfu henni einkunnina 9,6 fyrir tveggja manna ferðir. Þessum gististað er óhætt að mæla með fyrir þá sem vilja fá sem mest verðgildi í Benaocaz! Gestir fá mikið fyrir peninginn í samanburði við aðra gististaði á þessum stað. Apartamentos Rurales Sierra Alta hefur tekið á móti gestum Booking.com síðan 20. nóv 2012. Gott fyrir pör – þau gefa aðstöðunni einkunnina 9,5 fyrir dvöl fyrir tvo. Hvenær vilt þú gista á Apartamentos Rurales Sierra Alta? 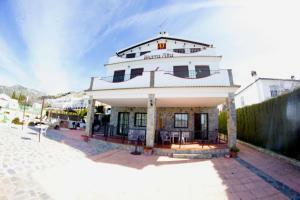 This air-conditioned apartment features a private terrace with views of the mountains and the swimming pool. There is a living-dining area with TV and fireplace, a double bedroom and a twin bedroom, and a kitchen which includes ceramic hob, microwave and fridge. There is also a private bathroom and a washing machine. 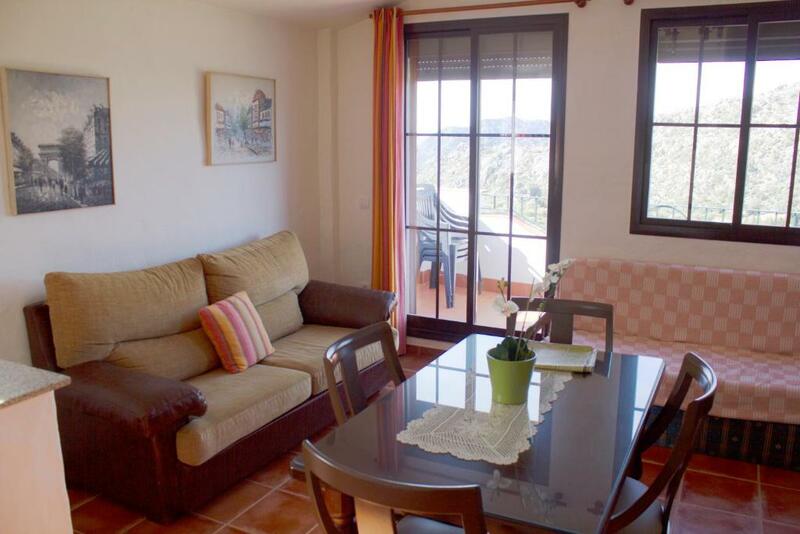 This air-conditioned apartment features a private terrace with views of the mountains and the swimming pool. There is a living-dining area with TV and fireplace, 1 double bedroom and a kitchen which includes ceramic hob, microwave and fridge. There is also a private bathroom and a washing machine. Húsreglur Apartamentos Rurales Sierra Alta tekur við sérstökum óskum! Bættu þeim við í næsta skrefi! Apartamentos Rurales Sierra Alta samþykkir þessi kort og áskilur sér þann rétt til að taka frá upphæð tímabundið af kortinu þínu fyrir komu. Gestir verða að hafa hljótt milli 23:00 og 09:00. Vinsamlegast tilkynnið Apartamentos Rurales Sierra Alta fyrirfram um áætlaðan komutíma. Þú getur notað dálkinn Sérstakar óskir við bókunarferlið eða haft samband beint við gististaðinn með því að nota tengiliðsupplýsingarnar í bókunarstaðfestingunni.